How long have you been interested in magic, and why weddings? My interest in magic started when I was a small boy. I used to spend my school holidays with my Grandad, and he would show me tricks, sparking my interest. Around 10 years ago I decided I would like to turn professional, so I started studying, practicing and taking one-to-one lessons. Before long I was working semi professionally and then moved into full-time three years ago. I’ve been performing at weddings at every stage of this journey. 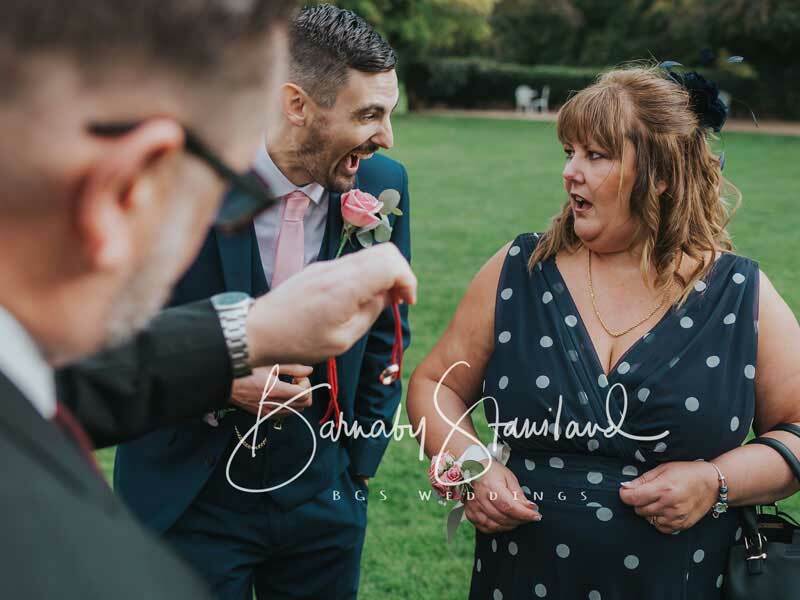 Weddings are my favourite events to perform at, and where I think I can make the most difference. Which parts of the wedding day do you perform at? I offer my services for three distinct parts of the day: the drinks reception, the wedding breakfast and the evening. 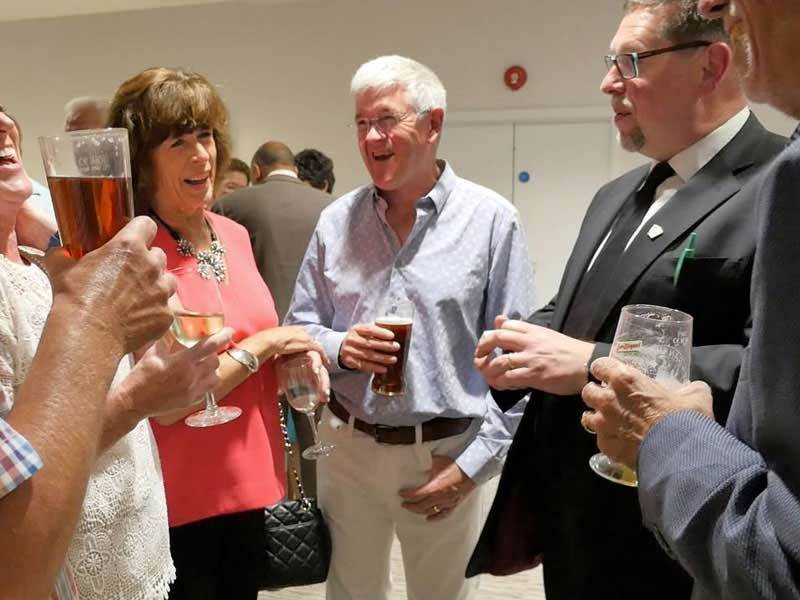 I find that drinks receptions are the most popular. The bride and groom are off having official photographs and guests can sometimes feel like they are not involved. I mix and mingle, pull small groups together and give them five minutes of fun. It’s a great ice breaker. My close-up case contains obvious items such as cards and coins, and some less obvious things such as keys, rubber bands, fruit, snooker balls and cutlery. I like to work with everyday objects and with a good variety of props. I also perform with borrowed objects such as bank notes and jewellery, which are always returned safely! What is your favourite type of trick to perform? The oldest magic in the world is the famous cups and balls trick. I perform my own version with a Costa Coffee cup and a rolled-up bank note. It plays well to ages 8 to 80 and gets big reactions. What was your most memorable client? I think my most memorable booking was two years ago at the Riverbank Plaza Hotel in London. It was a corporate booking for a paper and print industry lunch for 300 people. 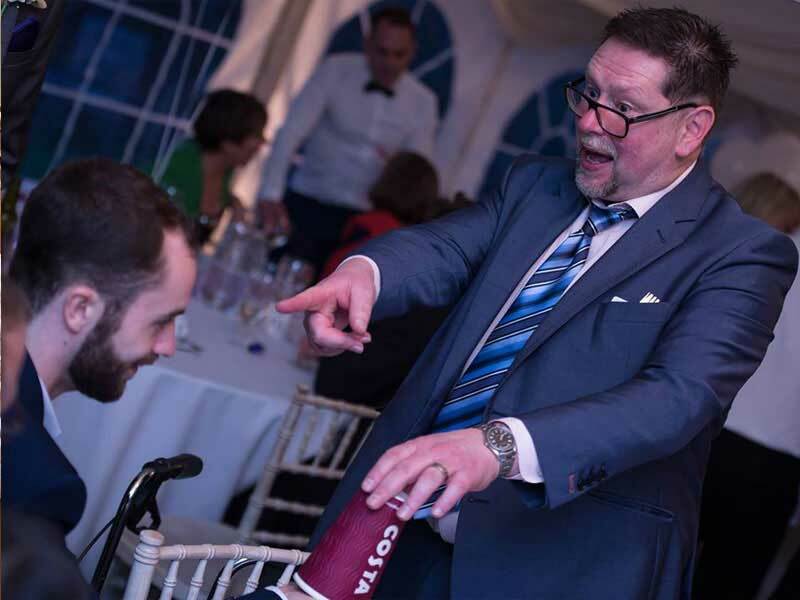 I had been to this annual lunch many times in the past when I was working in that industry, and then all of a sudden I was there as the professional magician entertaining lots of people I used to work with and do business with. It was a stark reminder of how much you can change your life if you make the effort and take some risks. How do you recover when tricks don’t go to plan? This happens very infrequently, and much less now than when I first started out. In most cases experience enables you to recover things, but not always. Sometimes you have to just relax and say you’ve messed up! Everyone makes an occasional mistake. If the rest of your magic is brilliant, people won’t even notice it. What are your favourite venues to perform at in Herts and Essex? The list, in no particular order, would include Down Hall, Parklands, Fennes and Leez Priory. The most upmarket place I have worked, albeit not in Herts or Essex, was a couple of weeks ago at the Guild Hall in London. Are some guests more difficult to perform magic to than others? Yes. I would say that 90% of people love magic and participate fully in the fun. The other 10% can be more difficult to perform for, either because they’re very shy and don’t want any attention, or because they get very frustrated by not being able to work out how things are done. On other occasions, they may simply be drunk! However, every guest receives my full attention and best effort, and the 10% of doubters can more often than not be converted to magic lovers in the end. Why should couples opt for a magician at their wedding? I think that couples should always have some form of entertainment for their guests. 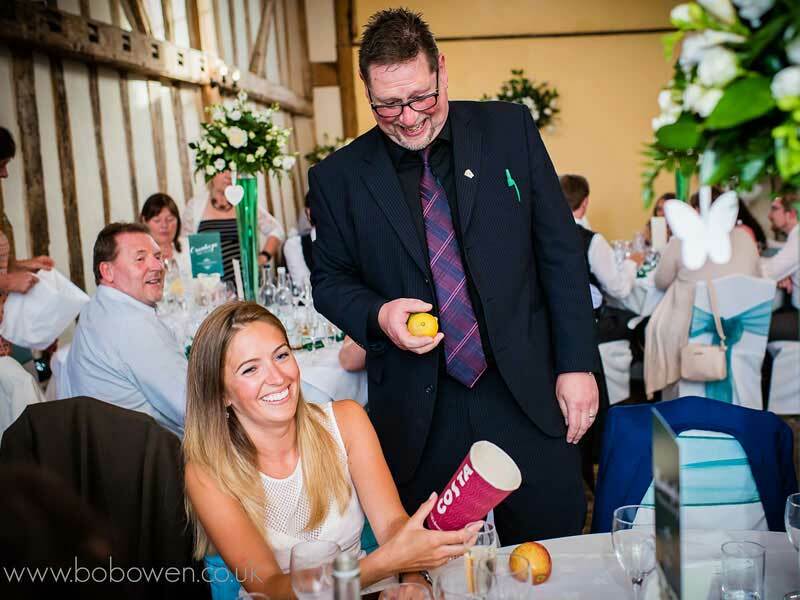 Guests spend a whole day at a wedding and there are parts of the day which lend themselves to some entertainment. This makes things more fun for the guests, more memorable and creates a talking point. This entertainment can be anything. 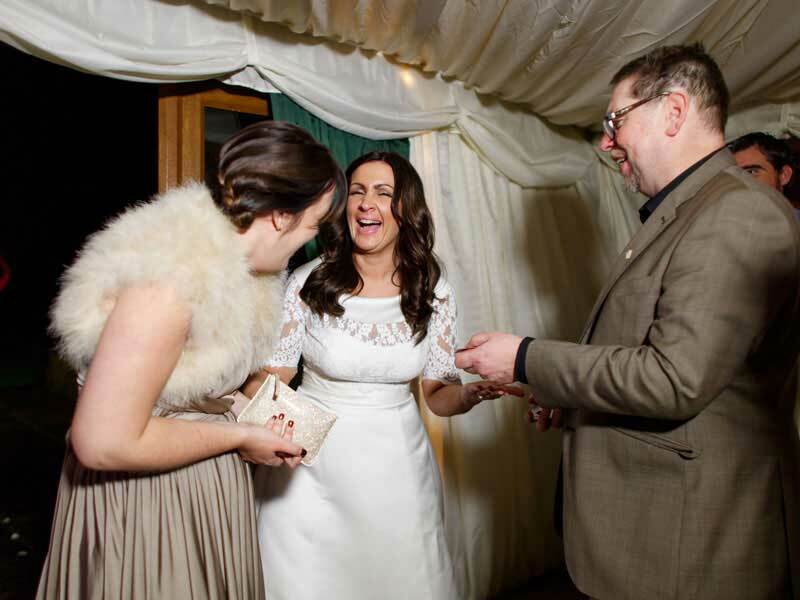 I have seen musicians, caricaturists, singing waiters – I even saw a Derek Trotter lookalike at one wedding! A magician is just one option, but the great thing about magic is that it is highly visual, interactive and great fun. 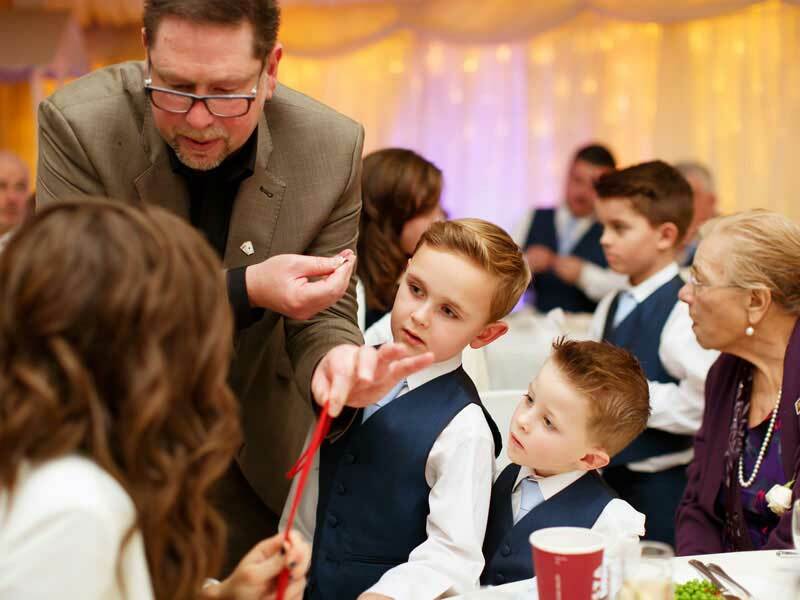 Find out more about Nick and how you can book him via his web site http://www.essex-magician.com and Facebook page https://www.facebook.com/nickbrownmagic/. For advice on booking entertainment at your wedding, contact me here.